Welcome to the heart of the Garden Route situated in the estuary of the Goukou River, Stilbaai is an ideal destination in terms of eco-tourism. Also known as the Bay of the Sleeping Beauty Stilbaai is situated 26km away from the N2 main road between Mossel Bay and Riversdale. The warm Indian Ocean washes onto miles of unspoilt, brilliant white beaches on both sides of the navigable river, providing ideal conditions for sunbathing, water sports and walks. Only 1 ½ hours drive from the national airport in George, Stilbaai is central to popular tourist destination such as the Garden Route, Klein Karoo and Overberg. It has its own landing-strip for small aircraft. Stilbaai is becoming increasingly popular these days. The atmosphere of the town is laid-back and peaceful. A nine hole golf course provides panoramic sea views to the keen golfer from virtually every tee, and there are also well developed popular bowling greens, tennis and netball courts. Good quality accommodation is available at competitive prices. It is recommended, however, that early bookings be made for the December and Easter holiday season. Stilbaai offers wonderful water-sport including fishing, scuba-diving and lots more as well as other types of sport. All the necessary services such as medical and supply services which include three franchised grocery shops, many excellent restaurants and take-a-way food provider are present. The rich and diverse ecological heritage affords hikers wonderful opportunities to explore the area. Fisher men can take advantage of the facilities offered by die small commercial fishing harbour, while the rich rocky formations along the coastline are perfect for rock anglers and divers. Stilbaai offers numerous special attractions for visitors, such as whale watching and feeding of the only tame, hand-fed eels in South Africa. All the amenities that visitors and residents would expect are available, from modern supermarkets and convenience stores to doctors, dentists and pharmacies. There are also a number of other special attractions such as Walking trails, Flower Routes, The famous Blombos Caves and a few nature Reserves. It has a population of about 4000 permanent residents and also Jongensfontein just 8 km within its boundary. Jongensfontein, a coastal village, is 10 km away along the coast and offers a spectacular view on the ocean. This is only a few reasons to move to Stilbaai or just enjoy your holidays here in a very save and peaceful environment. 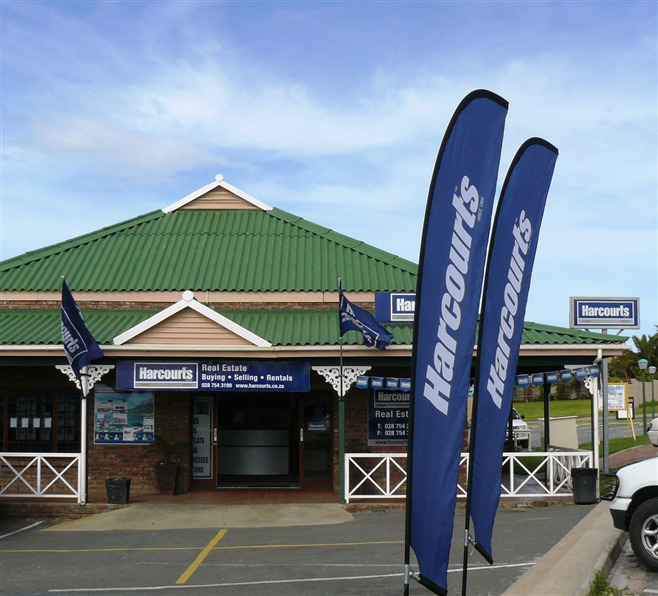 © 2019 Harcourts Stilbaai All Rights Reserved.